One of the most endearing things about Beyoncé is that despite her carefully crafted image, she still manages to impart the illusion that she’s just like the rest of us, a regular “Texas bama” slanging hot sauce, decrying police brutality and making Lemonade when life becomes too bitter. 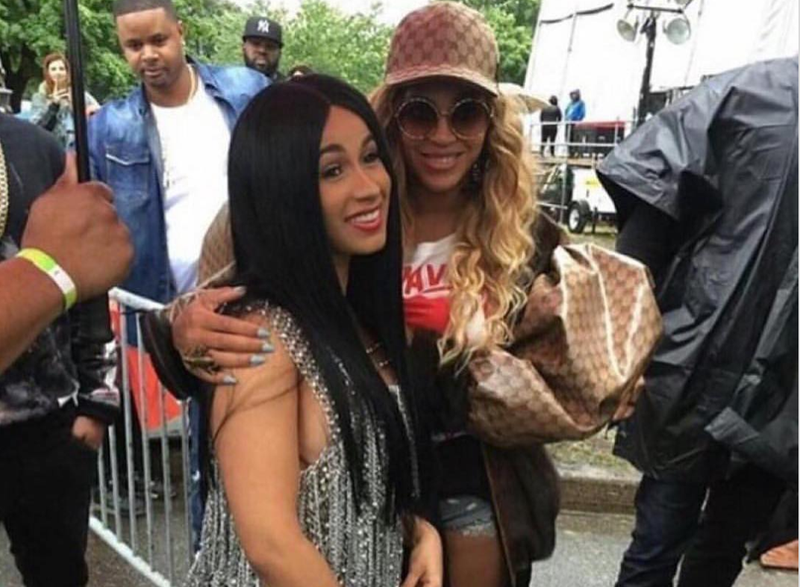 So it was no surprise that at hubby Jay-Z’s Made in America Festival this weekend, Bey, looking fine as hell just a few months after dropping twins (perhaps not so much like the rest of us), is a fan of Cardi B—the Bronx, N.Y.-born rapper who is taking the summer by storm. Cardi performed Sunday at the Philly festival, apparently getting a nod from the Queen herself. Cardi and others took to social media to geek out about her awesome social media co-sign. An aside: Jay had the Made in America crowd sing to his beloved for her 36th birthday Monday—the black version, of course.